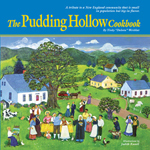 I recently taught a class on Thanksgiving pies at the Baker’s Pin in Northampton, Massachusetts. Naturally, I had to feature cranberries in at least one pie. Every year in September I begin calling grocery stores to ask whether cranberries have arrived. Once they do appear on shelves, I go crazy for cranberries. I make sauce. I make pies and tarts. I freeze the berries. I revel in redness. Cranberries have a lot to recommend them. They are rich in vitamins and antioxidants. New England sailors used to consume them on sea journeys to avoid scurvy. They abound with flavor (albeit flavor that needs a little sweetening!). And they are simply gorgeous. I view them as the rubies of the Thanksgiving table. Unlike many other popular fruits, the American cranberry is native to our continent. Native Americans combined ground cranberries with venison to make pemmican, a portable high-energy food. When English settlers arrived on these shores, they quickly adopted the berries as their own, not just to eat but as medicine. They learned from the original Americans to apply ground cranberries to wounds to keep them from getting infected. My friend Kathleen Wall, colonial foodways culinarian at Plimoth Plantation, believes that cranberries might have appeared on the table at the first Thanksgiving. 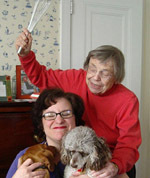 She emphatically denies that cranberry sauce was present. It hadn’t yet been invented. “By the second quarter of the nineteenth century, Caribbean sugar had declined in price so far over the preceding century that its consumption had risen enormously…. In 1912, Marcus Urann, a lawyer turned cranberry grower, decided to try canning cranberry sauce. 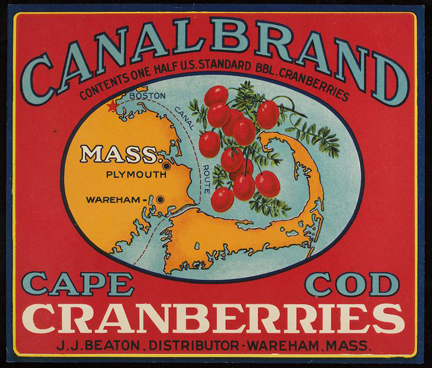 This innovation boosted cranberry cultivation in New England. In my opinion, however, it represented a step backward in cranberry cuisine. I always bring homemade sauce to his house and defiantly place it on the table alongside the canned version. Canned sauce lacks the color and flavor that define cranberries to me. Making basic cranberry sauce couldn’t be easier—and it can be done well in advance of Thanksgiving dinner. I usually just follow the directions on commercial bags of cranberries, although I sometimes add flavorful items like orange or cinnamon. Below I share a recipe that uses a variant on that sauce, made with chipotles. 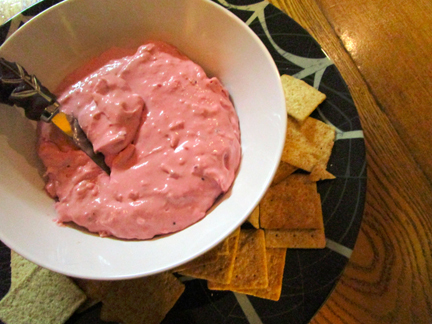 My cranberry chipotle spread may be served with meat, crackers, or apples. It may also be used to stuff celery. This gorgeous pink substance packs just a little heat. I will be making it, along with my cranberry-apple crumb pie, this Wednesday, November 22, on Mass Appeal. I’m publishing the recipe in advance in case readers want to make it for Thanksgiving. I’ll post a link to the video after it airs. Meanwhile, I hope you all enjoy feasting and giving thanks this Thursday. I know I will! 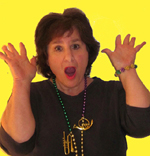 I offer thanks to all of you for reading. Begin early in the day, or even a day ahead. In a saucepan combine the water and the sugar and bring them to a boil. Add the cranberries and the chipotles, and return the mixture to the boil. Remove the mixture from the heat, cool it to room temperature, and then puree the sauce in a blender. Refrigerate it until it is needed. When you are ready to make your spread, whip the cream cheese using an electric mixer. Beat in some of the chipotle-flavored cranberry sauce to taste. (Start with 1/2 cup and see how you like it.) If you want your spread to taste more of chipotle, stir in more of the adobo sauce. Refrigerate until ready to use. You will have extra sauce which you can use for more spread or serve on the side of meat or poultry. Sprinkle the pecans on the spread just before serving. Serves 6. 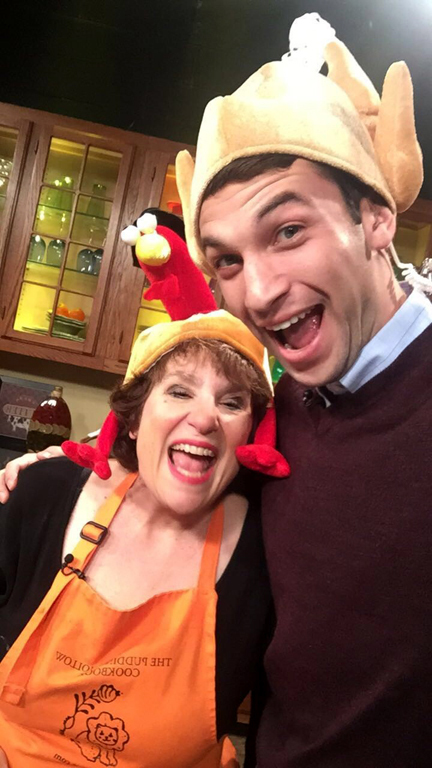 “Mass Appeal” co-host Danny New and I had fun getting ready for Thanksgiving.